Rakon is one of the success stories for NZ technology based firms. The company based in Auckland, New Zealand, is one of the world’s leading manufacturers of frequency timing solutions (primarily quartz crystals and temperature compensated crystal oscillators) for the GPS industry. It claims to supply over 50% of all the frequency control products in this area, which is quite staggering since the world GPS market was estimated at US$30 Billion in 2008, with worldwide shipments of handheld devices numbering approximately 30 million in 2008. GPS units work by locating four or more satelites, calulating the distance between the unit and each satelite, and then using this information to calculate its own position by a process called trilateration. This is done by timing how long a signal takes to travel between two points, which needs to be known very accurately. 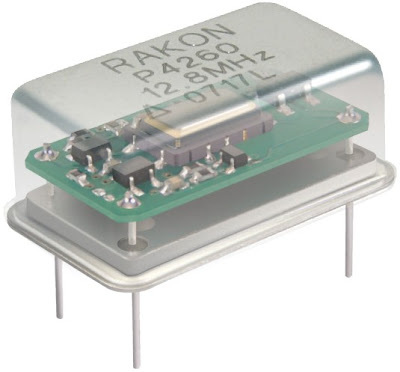 This is where Rakon comes in with their quartz crystal oscillators. When a quartz crystal is cut and mounted properly, the silicon and oxygen atoms that make up that quartz crystal can be made to distort when an electric field is applied. When the electric field is removed, the quartz crystal will return to its normal shape and generate an electric field. The result is an electric circuit with a precise resonant frequency, to which time can be measured. This is known as piezoelectricity. Such crystals are used in digital watches, cellphones and computers – Rakon sell theirs to GPS equipment manufactuers so that they can measure the time taken for signals travelling between two points and thus figure out where in the world you are. With the explosion of handheld GPS devices (CAGR 18%) and the inclusion of GPS technology in many mobile phones such as the iPhone, it doesn’t take a rocket scientist to realise that if Rakon stay ahead of the game, they will have a very big future indeed. This will only be achieved by having the right science and technology minds behind them – not only imperative to Rakon of course, but to New Zealand.